A Merchant Loan, commonly referred to as a Merchant Cash Advance, is a loan that takes its repayments by deducting them from a business’ card, or merchant revenue. This is done through the credit and debit card payment terminals of the business. These loans are used as one of the forms of� business loans available on the UK market to businesses looking for that bit extra funding. The loan amount that can be obtained through a merchant loan is calculated by the lender using the applying business’ card revenue as the main guide and structure to assess affordability. Most lenders in this space will loan or advance up to 100% of a business’ monthly card revenue. They then add their interest and additional fees for the term of the loan to give the total amount repayable. The lender will then analyse the business’ merchant statements and calculate what percentage of your total revenue through card sales should be set aside to make the loan repayments on a daily, weekly and monthly basis. These types of loans are ideal for retail-based businesses such as shops and restaurant who have a constant flow of income through their card terminals. Other businesses such as barber shops, florists and smaller green-groceries are usually not eligible for merchant loans as they do not have sufficient if any card revenue to show for their business, such is the nature of their industry and their business model. How do Merchant Loans Work? For example, if a business borrows £8,000 and the cost of credit is 30% over 6 months, then the total that has to be repaid at the end of the merchant loan terms is £10,400. If the business’ average card revenue over a 6-month period has been £9,000 per month, i.e. £54,000 over 6 months. As £10,800 has to be repaid, if the lender deducted 19.25% of the card revenue, after 6 months, the borrowing business will have repaid £10,400. This is not an exact science, as things cannot be forecast to the exact pound with regards to how much will be generated in business revenue. However, most lenders will allow forbearance if the loan takes a few more days to repay than forecast, providing a degree of leeway for the borrowing business. If it is looking likely to the lender that revenue is less than forecast, and the repayments are going to be insufficient to repay the loan, the agreed percentage amount of card revenue can be increased to meet the shortfall. The borrowing company can always repay these loans early though and if that is the case, most lenders will make a deduction to the amount repayable. This may arise when card revenue is higher than forecast. For example, if a business has peaks and troughs at different times of year, there will likely be times where revenue is significantly higher than other times, meaning that the deductions from the merchant revenue at the same percentage will repay the loan earlier than forecast. It may also be the case that the borrowing company has received unexpected income and may choose to bring the arrangement to a close before the original term has expired. How merchant cash advance lenders are able to deduct loan repayments from the borrowing business’ merchant revenue is done in one of two ways, depending on the company that is offering the service. In these cases, the lender sets up a bank account in the applicant company’s name with their bank, and terms are agreed with the business’ Payment Gateway to remit all card revenue to this new account. The account is jointly controlled by the applicant and the lender. When the Acquiring Bank sends the card remittances to the business upon a customer’s payment, instead of the usual bank, the funds go to the new account. The lender then deducts the percentage agreed (say 19.25% as above) as loan repayment and remits the remaining balance back to the business. The good thing about this arrangement type is that the loan is repaid in affordable payments; small repayments on the business’ slower days and larger repayments on the busier days. The problem that most borrowers find is that they feel they have lost total control of their main revenue channel, which can cause understandable nervousness. This where the lender sets the condition that the applicant business changes its Gateway service provider from whoever is currently being used (such as WorldPay, Axcess, Realex, Elavon and others) to a Payment Gateway of the lenders choice. The lender will have an agreement with their chosen Payment Gateway to deduct the loan repayment before remitting the merchant revenue to the business. This can be quite an upheaval for a business who may have developed a good relationship with their existing Payment Processing partners. Furthermore, there is no guarantee that the terms on which the new Payment Gateway are provided are as good as those already in place but the applying business using this method will likely be left with little alternative. When a business supplies goods or services to another business, it is referred to as ‘B2B.’ Merchant cash advances are of no use to these companies because the majority of their revenue is likely to come from bank transfers, occasionally by cheque, or by direct bank transfer from a factoring company as large payments for wholesale supplies as opposed to lots of individual card payments from customers for single items. Therefore, there is very little merchant revenue to advance cash against and so most merchant lenders will not lend to these types of businesses. 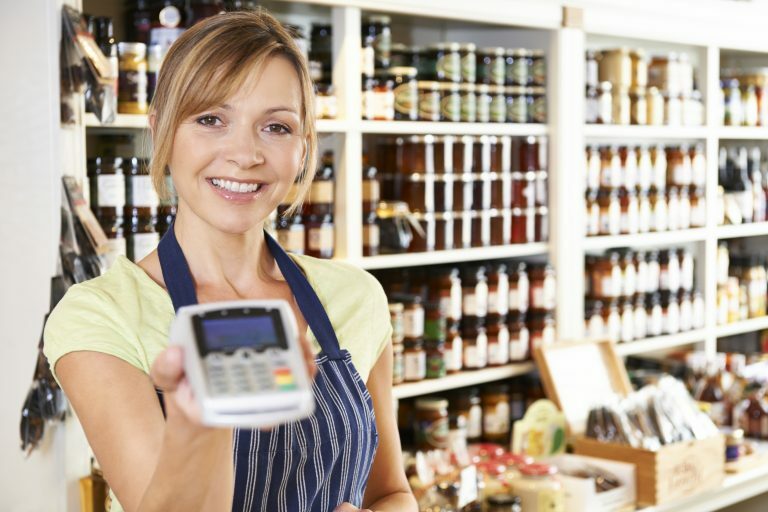 For businesses like these as well as others that may not qualify for merchant loans, a� merchant cash advance alternative may well be a more viable option. There are a wide range of options for businesses to consider when they are looking at funding sources. Sometimes, a traditional business loan may be the most viable and most favourable option. However, some businesses may struggle to uphold the terms of a business loan which will require them to repay the loan amount plus interest in one go at the end of the loan term. Merchant loans though work of percentages of a business’ card [merchant] revenue. Therefore, with terms and conditions of the arrangement agreed, the borrowing business simply gives up a percentage of its card revenue to cover the loan amount plus interest over a predetermined time period until these costs are cleared. With merchant loans, the business taking out the loan can simply let business continue as normal whilst they focus on increasing revenue as they normally would, but with a scalable portion going to the merchant lender. A further benefit of merchant loans is that they all work proportionately with the business. Say 20% of card revenue is agreed between the lender and the borrowing business, if revenue rises, the payments rise in line and if revenue falls then again, the payments will decrease in line with this in proportion. For any business, having the safety net of being able to take out various lines of credit in a responsible manner can be crucial to business progression and success. One of the fundamental benefits of merchant loans is that a business that has taken out a merchant loan is able to pursue other lines of credit at the same time, whilst the merchant loan and its repayments are ongoing. This can allow businesses to progress further than would otherwise be the case with an increased degree of flexibility.